NETWORK EXTENSION WITH MOBILE CONTAINER! As a specialist for telescopic masts and radio containers – based on more than 15 years of experience – the company Vetters & Freywald KG offers professional soluLons for applicaLons in industry, research, fire, police, surveillance, radio/mobile communicaLons and in civilian areas. With our mobile phone containers the trouble- free operaLon of telecommunicaLon networks can be ensured. 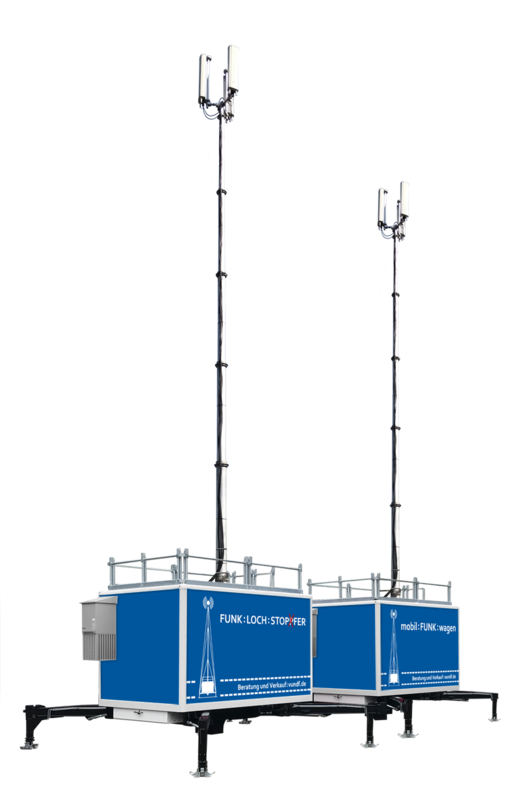 In the short term network operators can tem- porarily increase network capacity at major events such as football matches, open-air events, congresses and trade fairs. Our qualified team analyzes your wishes for the most diverse requirements – whether individual soluLons or complex systems.